Prostate cancer (CaP) is one of the most common cancers worldwide. It is estimated that more than two million men are currently living with prostate cancer within the European Union.1 In the USA, data from the Surveillance, Epidemiology and End Results (SEER) registry indicates that every year younger and healthier men are being diagnosed with localized prostate cancer2 with an annual percent increase estimated at 9.5%. Though a number of treatment options are available for this group population, radical prostatectomy (RP) remains the gold-standard approach offering the best chances of long-term cure. 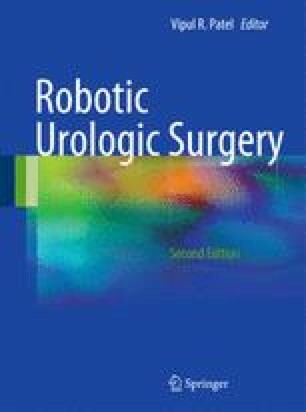 This patient population poses an even more challenging scenario for the urologic oncologist, as younger patients will commonly have higher expectations from any given treatment option, seeking for optimal cancer control without impairing postoperative functional outcomes such as continence and potency.